The Weiser Field Guide to Cryptozoology includes information, interviews,�and stories about forty different cryptids seen in various places all over the world by credible eyewitnesses like policemen, rangers, and doctors. Readers will learn where and how to find flying humanoids, hairy humanoids, giants of all kinds including rabbits, bats and spiders, goblins, vampires, werewolves, demons, aliens�and ghosts. In the third book of our Weiser Field Guides, BellaOnline paranormal editor, Deena West Budd, surveys the still-emerging field of cryptozoology--a term coined in the 1950s by a French zoologist named Bernard Heuvelmans--the study of �hidden� or �unknown� animals not recognized in standard zoology. From traditional cryptids like Big Foot, the Abominable Snowman and Nessie, to mythical cryptids like unicorns, vampires, dragons, and werewolves, to lesser-known cryptids like bunyips (waterhorses), Encantado (Dolphin Men of Brazil), thunderbirds, mothmen, and chupacabra, these creatures are very much alive, says Budd, even if beyond the realm of normal perception. 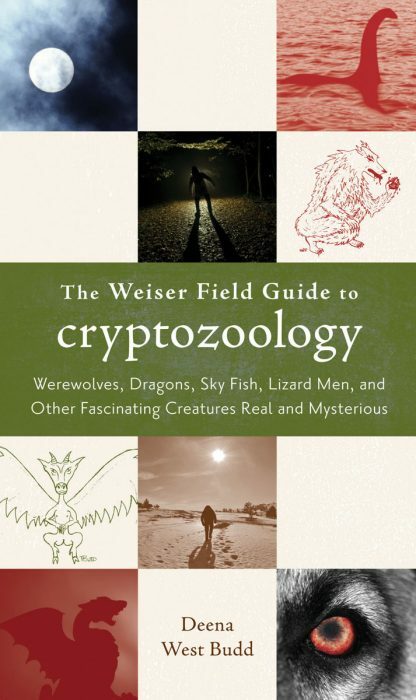 The Weiser Field Guide to Cryptozoology includes a brief history of the field of cryptozoology and surveys all the creatures for which any credible amount of research exists. Budd gives readers tips on how to spot these creatures, as well as cautionary advice on how to interact with them. Two dozen line drawings rendered from eye witness descriptions accompany the text.